Found this in a friend’s feed, and it is so powerful. From America to Israel to France, the world has not been a stable, safe or happy place. I do not have words, but I do have prayers; and prayer is what will fuel sound action and proper change. Gandhi knew, many others need to learn; perhaps these times are part of the object lesson. Tags: Causes, Community, Failure, Life, Politics, Pop Culture, U.S.A. Categories : 50 Days to 50 Years, Christianity, Community, Life, Politics, This is 50, U.S.A.
“Anthropologists really don’t know much about the early history of kissing. It is presumed that it happened as part of courtship and sexual foreplay, and therefore is rather instinctive (many animals also kiss, lick and nuzzle each other), but it was (for whatever reason) rarely depicted in art or writing. Artists/writers may have considered kissing too sexual or private to share publicly. I found love late in life, and the song, “It’s in His Kiss”, became reality when I first kissed Lynn. I just knew, and have been enjoying those sweet lips for 11 years now. But we are both affection bugs, so our fur babies and loved ones get bussed quite a bit too. I say, why stop at a day? Take the week to give additional smooches to those you love. We need some positive, loving energy to permeate our world. Sarah Lucy Beach is another longtime friend since the early 1990s. We met in an entertainment industry fellowship called Premise, and immediately struck up a bond over our love of writing, movies, and conversation. That bond was assisted by the fact that I did not own a car my first 10 years in Los Angeles, so Sarah was often my constant chauffeur to and from Premise meetings and other places and events. Like many of my Los Angeles’ friends, she has spent more than a few Thanksgivings and Christmases with me—we even spent one Christmas Eve at Disneyland, which was quite a treat! No lines or crowds, and a fireworks display that was the perfect entree into Christmas Day. We also took a road trip together from Los Angeles to Colorado, with some stops in between. Unfortunately, Sarah’s car had troubles along the way, and it started out stressful, but ended up being a beautiful trip. We look back on that time now and laugh, but it wasn’t quite a laughing matter then; our friendship weathered it and we have some fond memories and pictures to look back on. My early years in Los Angeles were chaotic, and I was often in financial and logistical straits. Sarah was always there for me, whether with assistance for a meal, an escape from a toxic living situation, or a movie. After hearing about one precarious situation with yet another bad roommate, she said, “If you are facing the street, then you are welcome to my couch.” I took her up on it, and stayed on her couch for six months. Sarah has recently gone through some hard trials of her own the last few years. Because Lynn and I were fresh off some hardships of our own, we were not able to offer a couch, but we could give our prayers and whatever practical help was available. I am thankful that Sarah’s life is on the upswing from those dark years, and that she was available to help me ring in my “50 Days to 50 Years”. We had a great time catching up, and as is indicative of our times together, we took in a movie: Captain America: Civil War, then had lunch at Hopkaido Japanese buffet. Thanks to the record-breaking Los Angeles heat (111 degrees where we were), we were quite content to marinate in conversation and enjoy Hopkaido’s air conditioning long after we had finished eating. But then, as lifelong friends, we never need an excuse to do that…. Theresa and I have been friends since the early 1990s, when we both were part of the now-defunct Masters of Professional Writing program at USC. She was one of the best parts to come out of those years in graduate school. She is a keeper (she says the same about me—verklempt), and we have watched each other’s lives through boyfriends and breakups, forced moves, intentional moves, job milestones, job losses and job stresses. But I am most thankful for being a part of her life because I got to see her son AJ enter the world and grow up. AJ turned a page on the calendar too, so we were all marking milestones. I was there during Theresa’s pregnancy, I babysat AJ, and got to hang out with him at all sorts of things: from the UCLA Los Angeles Book Fair, to the Chinese New Year celebrations, and various times and birthdays in between. They were a part of many Thanksgivings and Christmases in Los Angeles, and they had a front row seat as I met and married Lynn. My sister June was a pivotal part of their lives too, and they grieved right alongside me when she died. I am honored and blessed by our family connection, and am so proud of the man AJ has become. AJ is not your typical millennial: he knows what he wants, and he is pursuing it with passion and smarts. He has already gotten some major screen time doing background coverage in film and television, and he has a really spectacular voiceover reel over at his YouTube channel. He has met, and is being mentored by some of the best names in the voiceover and entertainment business. That is all AJ’s doing—no one handed it to him—he pursued them, was offered the opportunity, and made the necessary space for it. AJ knows the players in his industry, and knows more about networking than any career coach I have encountered. In fact, as we were leaving the Barn, he ran into Mark Silverman, the voice of Rod Serling from the Disney Theme Park ride “Tower of Terror”, and just struck up a conversation with him. AJ’s confidence and his comfort in his own skin and his purpose are well beyond his years. He is focused and dedicated to his craft; but more importantly, he is one of the most personable and kind people I know. Both AJ and Theresa are practically Disney historians, so I got to spend a bit of time with them at Walt Disney’s Carolwood Barn in Griffith Park. This is a FREE thing in Los Angeles, and right in my backyard, so even on this 107 degree Los Angeles day, it was a win-win, not just for the fun exploration, but to have some time with them both. Fifty years on this earth teaches you that time is precious, and people’s presence in your life through the sorrows and the celebrations, growing up, and growing older makes it even more so. Thank you, Theresa and AJ for loving me and being part of my life . I love you both very much. This is a comedy sketch that’s writing itself. Rachel Dolezal, head of the Spokane chapter of the N.A.A.C.P. has been “passing” as black. She was born Caucasian and raised by two white parents who apparently grew tired of her deception—so they’ve outed her. Armed with pictures and a birth certificate, Lawrence and Ruthanne Dolezal are taking to newspapers, cable and network news shows to let the world know this Black activist who has filed police reports about nine different hate crimes perpetrated against her, who is touted as an academic expert on African-American culture, and teaches African-American studies classes at Eastern Washington University is their estranged daughter who is… white. After the obvious jokes and the laughter subsides, you then start to think about how many people this fraudulence hurts, not in the least her Caucasian parents. I explore the role of the feckless N.A.A.C.P. in this mess, and social media reaction over at Communities Digital News: The self-loathing Rachel Dolezal marks the irrelevant N.A.A.C.P.’s demise. In the meantime, listen to her seemingly shell shocked parents talk about the daughter who has rejected them and her race, because #whitelivesdontmatter. 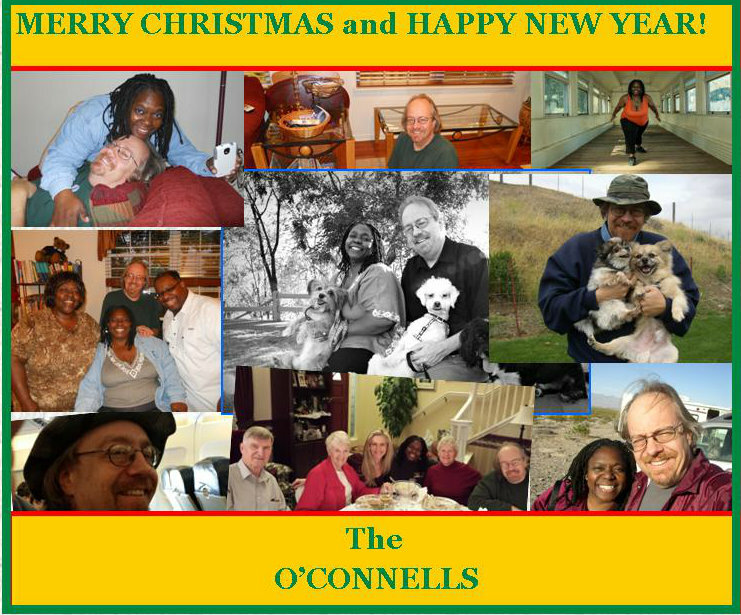 In My Orbit: Merry Christmas, Happy Boxing Day, and Happy New Year! Greetings, fellow turners. I hope everyone had a wonderful Christmas full of love and good food. I feel a day late and a dollar short over not posting an Advent or a Christmas post, but my sentiments are the same no matter what the time of year–may you be blessed, well, and fulfilling your life’s purpose! My Washington Times Communities column is humming along swimmingly! I continue to beat the drum on Obamacare, its deficiencies, and its abject failure on delivering little of what it has promised. As a Christmas present(?) to Americans, the Obama administration hacked away at the individual mandate to help out those whose individual policies had been cancelled due to the new Obamacare regulations. Make sense? Didn’t think so, but not much does with this convoluted law. Give it a read: The Obamacare individual mandate death watch. Over at Examiner.com, the ever-changing world of the film industry continues to stay in focus. I was recently asked by KCET to review a series called Bridge to Iran, and to interview its host Parisa Soultani. I gained insight and an education into a minority group that makes up a huge chunk of the Los Angeles population, yet remains shrouded in mystery. I hope that the review and conversation with Parisa removes a bit of that shroud. Give those a read, if you get a chance: Artist Profile: Parisa Soultani uses media to connect to a higher essence; and, TV Series review: Bridge to Iran spotlights Iranian filmmakers. My holiday was filled with family concerns and family joys, but I count this as one of the best Christmases we have had in a long time. I pray 2014 brings you renewal and joy to your world. Comments : Comments Off on In My Orbit: Merry Christmas, Happy Boxing Day, and Happy New Year!